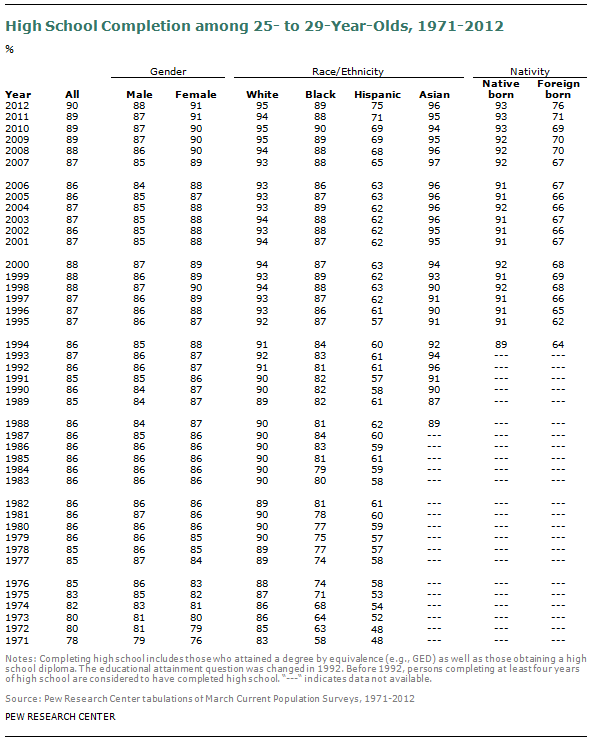 Three-quarters of Hispanics ages 25 to 29 had completed at least a high school education in 2012, and Hispanic high school attainment significantly increased over the previous record of 71% in 2011. 2012 marks the first time 76% of foreign- born young adults have completed at least a high school education. 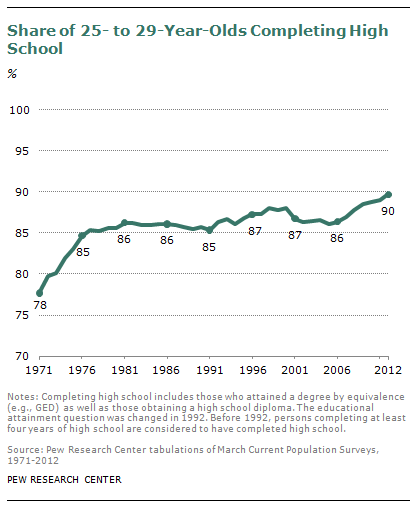 Immigrant high school attainment in 2012 was significantly above the prior record (71%) reached in 2011.